The Laidlaw’s were in need of a reliable replacement for the retaining walls that failed on their beautiful residential property a short 8 years after construction. 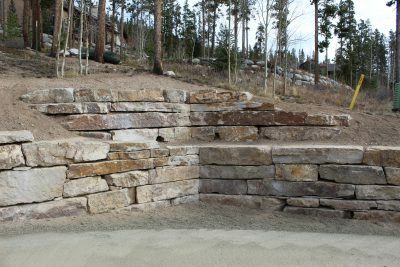 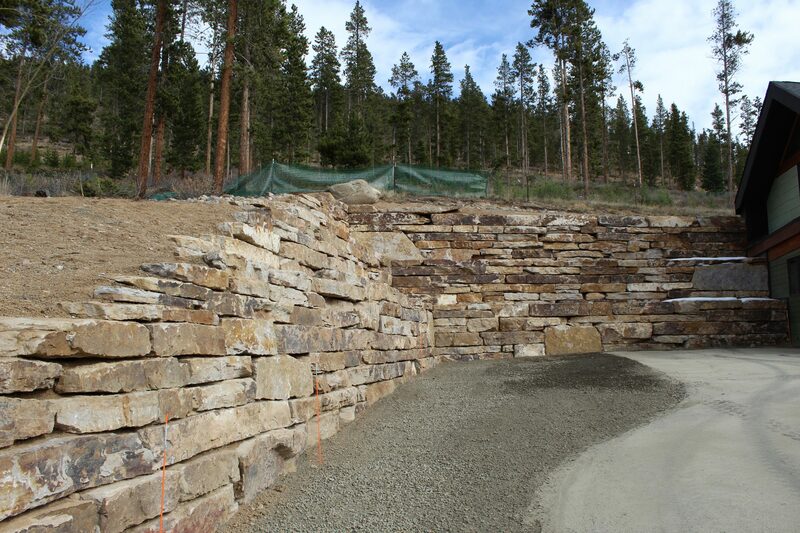 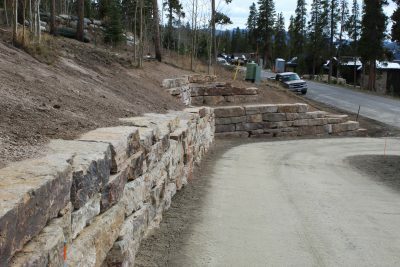 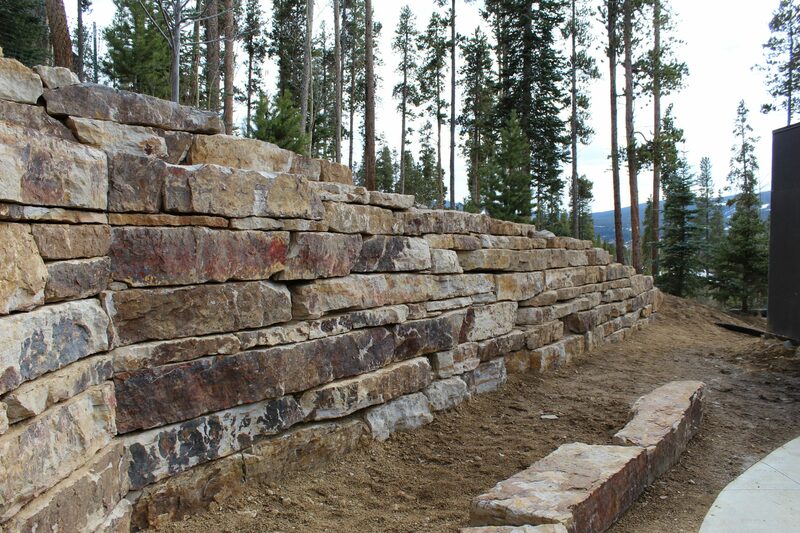 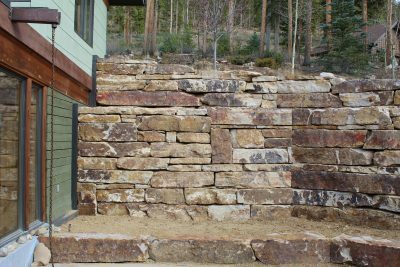 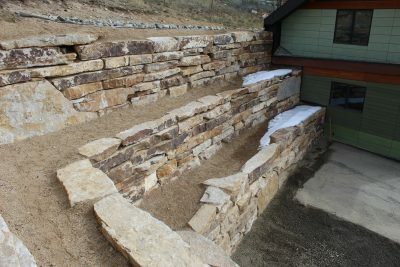 Comprising of 2,350 face feet of Siloam Stone, the Laidlaw’s now have the only retaining walls of this caliber in Summit County. Retaining walls add functional strength and beautiful aesthetic appeal to any property.